The first and second answers below are perfect. 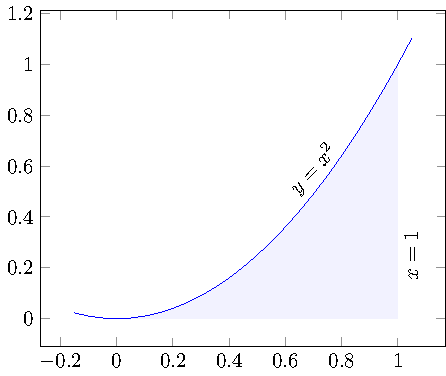 What if I wanted the shaded area under the curve to stop at a certain y-value, instead of extending all the way down to the x-axis? Say, it goes down to y=.2? 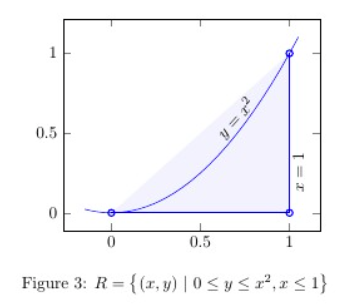 The basic idea is to have two labelled input paths, in our case the function as such and the path which resembles the other boundary (in our case the part of the axis from 0 to 1). 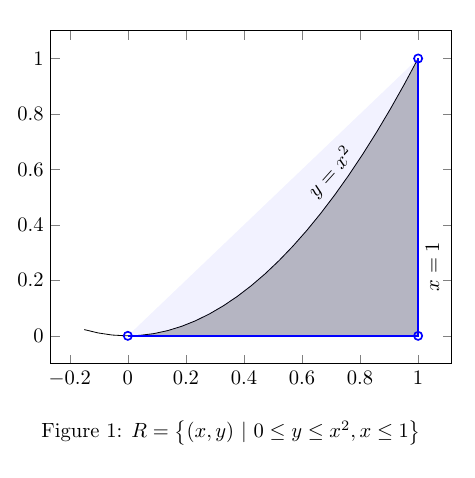 Then, \addplot fill between can draw the area between these two input paths. 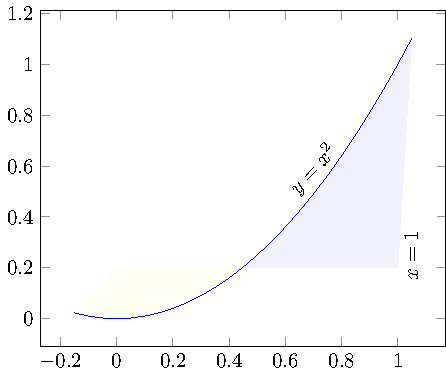 In this example, the second path (labelled axis) is at y=0.2 and we fill between f and axis. Clearly, this results in two segments. I told fillbetween to fill the first segment in yellow, but you can easily use fill=none to make it invisible. In case you want to show the boundaries of the filled region, you can easily add draw to the option list of \addplot fill between. 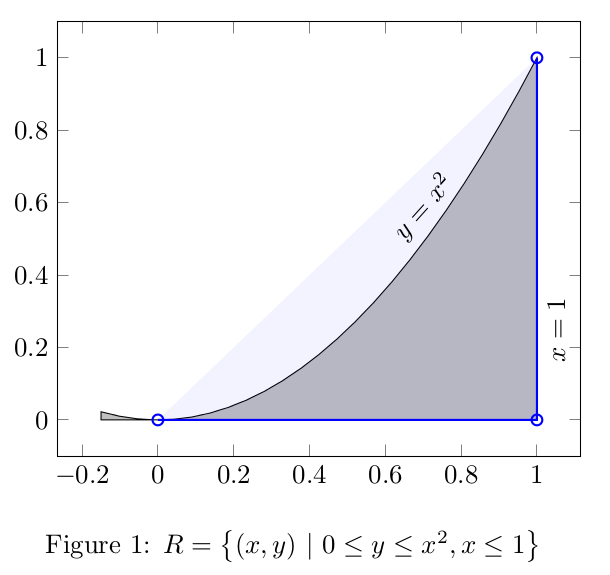 1.- Divide your plot for x^2 in two plots, one without fill option and domain=-0.15:0 and a second one with fill option and domain=0:1. 2- Use new pgfplotslibrary (from recent pgfplots version 1.10) fillbetween to fill area between curves in desired domain. 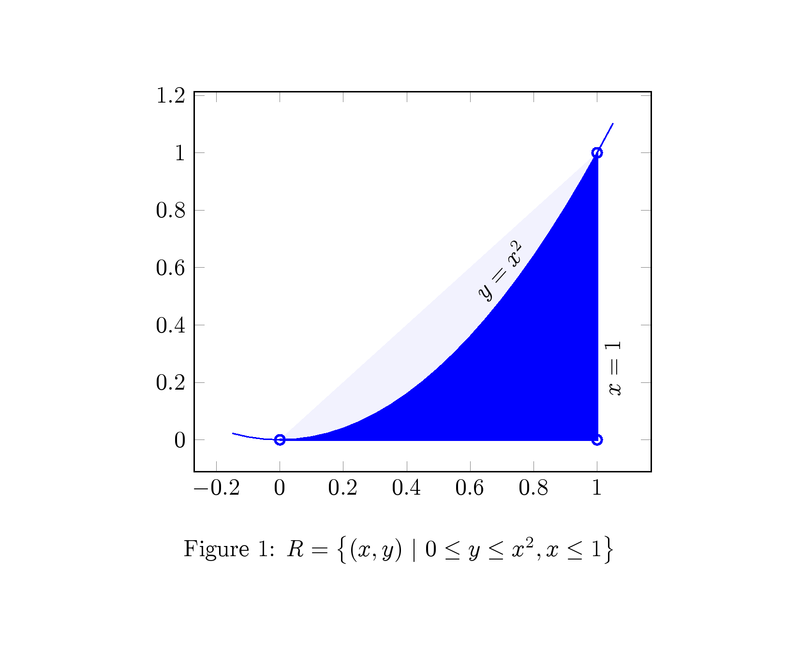 In this case you have to identify curves with a name path and after that plot (fill) area between them. How to fill an area outside circles?